Undead characters are those that were once human but have refused to stay dead. This includes vampires and zombies, as well as ghouls and revenants. Beau has his own method catching food - he lies in the road and waits for them to pull over in their car. He likes to drink and believes that if a human drinks enough alcohol before he feeds on them, he'll be able to taste the drink. He was beheaded and killed by Dean. Conrad was one of Lenore's group, but was hunted and killed by Gordon with some assistance from Dean Winchester. Dixon's whole nest was slaughtered by hunters, so he began building a new "family". He picks up young girls in nightclubs and feeds them a few drops of vampire blood, promising them it is a new drug. When he captures Gordon Walker, he decides to turn him rather than just kill him. He refers to one of his original nest as his daughter - it can be assumed that she was not biologically his daughter, but a vampire he turned. 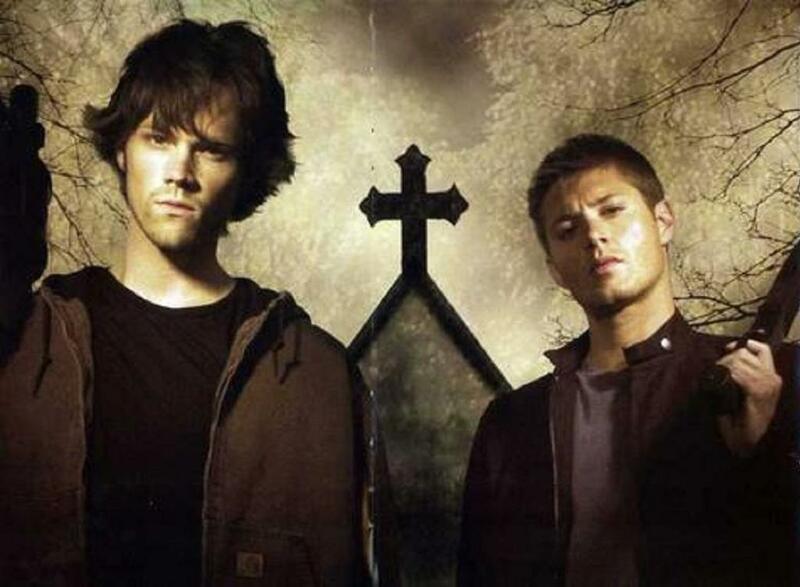 Although not seen on screen, is it unlikely that Dean and Sam allowed the vampire to live. One of Lenore's group of vampires, Eli no longer feeds from humans. He hates it, and would rather kill the hunters that track them, but he agrees to do what Lenore wants. Little is known about Hank, except that he was with Kate when she was captured by Dean, Sam and John. He was beheaded and killed. Kate is Luthor's mate and seems to be in charge when he isn't around. When she is captured and used as bait, she manages to escpae, only to watch as her beloved Luthor is killed. She wanted revenge on the Winchesters but was held back by another female vampire. Lenore is the leader of her group of vampires. Many years earlier, they made the decision to feed from animals rather than humans, attempting to live a peaceful co-existance. When Gordon begins tracking them, she tries to lead her group out of Montana, but she is captured by Gordon and tortured with dead man's blood. It is only the rescue by Sam and Dean that allows her to survive and the group manage to escape. Lucy was out at a club when she was approached by Dixon. When he offered her something to try, she did, not realising that it was vampire blood. She believed herself to be on a drug trip, even when Dean and Sam captured her and explained the truth. Reluctantly, they killed her. Luther is the leader of his group of vampires. He is probably the eldest of the group and was born around 170 years earlier (about the time the Colt was made - according to Kate). He has a history with Daniel Elkins who did something to his family, probably killed them. His mate within the group was Kate. He was killed by one of the bullets from the special Colt. A student at college, Angela was killed when her car crashed while she was arguing wth her boyfriend, Matt, on the phone. Her best friend, Neil managed to bring her back from the dead as a zombie, as he was in love with her, but she was more interested in seeking revenge on Matt for cheating on her. Eventually, Sam and Dean tricked her and managed to destroy her. Having tried - unsuccessfully - to kill Sam Winchester when he was 6 years old, the same Shtriga managed to avoid being destroyed on that occasion. However, when they encountered it again, posing as Dr Hydaker, they used a young boy as bait and destroyed it while it was feeding.